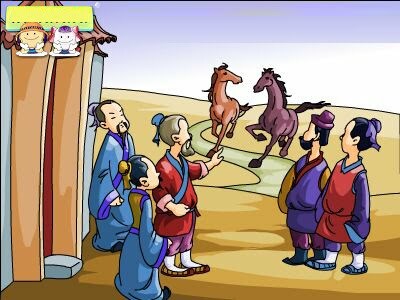 If you are feeling depressed or feel that your circumstances have got too much for you, take inspiration from this ancient Chinese story about an old farmer whose only horse ran away. And, as it happened, a few days later when the old man’s son was attempting to ride the wild horse, he was thrown from it and his leg was broken. The friends came to express their sadness about about the son’s misfortune. “Who knows what’s bad or good?” said the old man. A few weeks passed, and the army came to the village to conscript all the able-bodies men to fight a war against the neighboring province, but the old man’s son was not fit to serve and was spared. Can you relate this to your own life? I know several people who were retrenched from their jobs. At the time it seemed like a total disaster. However life carries on and with hindsight they could look back and see that it was that disastrous experience that pushed them in another direction where they were much happier and more successful. I suppose the most important point is not to let yourself get stuck – you have to keep on moving forward, keeping your eyes and ears open to new possibilities to follow. For myself, I’m actually grateful for having had depression. It was terrible at the time, and I certainly wouldn’t want to go through that hell again or wish it upon anyone else. BUT… it grew me as a person, and pushed me into learning all the knowledge I needed for recovery and which I share with you here on my website. I would love to hear some comments from you. Have you had an experience that, although seemed disastrous at the time, pushed you in a direction of greater satisfaction? Please share in the comments section. Go here to Start your journey of recovery. It was a rainy night in October when my nephew Lewis passed the Frankenstein statue standing in front of a toy store. 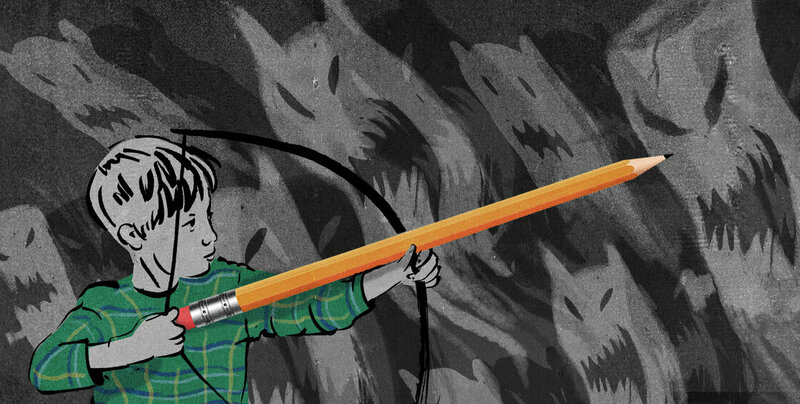 The 2 1/2-year-old boy didn’t see the monster at first, and when he turned around, he was only inches from Frankenstein’s green face, bloodshot eyes and stitched-up skin. The 4-foot-tall monster terrified my nephew so much that he ran deep into the toy store. And on the way back out, he simply couldn’t face the statue. He jumped into his mother’s arms and had to bury his head in her shoulder. For hours after the incident, Lewis was stuck. He kept replaying the image of Frankenstein’s face in his mind. “Mom, remember Frankenstein?” he asked over and over again. He and his mom talked about how scary the statue was, how Lewis had to jump into her arms. It was “like a record loop,” my sister said. Feeling inadequate is not a sin. However it is wrong to act on those feelings and drive yourself unmercifully to prove that you are not inadequate. I know what that feels like. 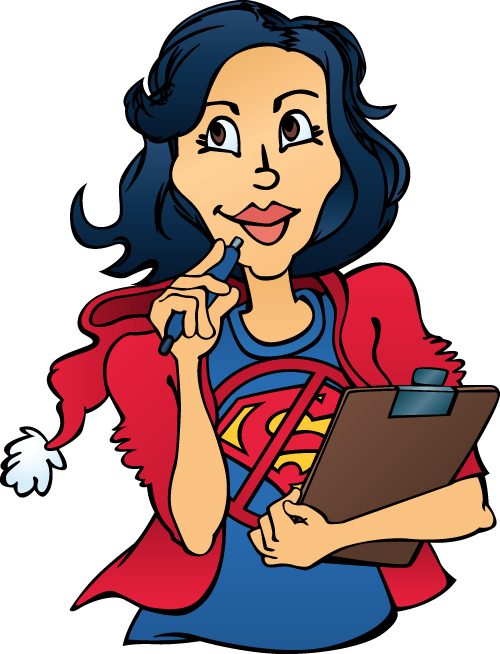 At one stage, I thought ‘superwoman’ was my middle name! Misplaced energy like that can destroy relationships and it’s a terrible strain living with someone who’s constantly trying to prove she’s `superwoman’, all part of an attempt to hide feelings of inadequacy. 1. Lighten Up!! Stop trying to outsmart the next person to prove you’re better than them. Give them a chance to shine and be superwoman as well! 2. When you feel inadequate, watch your self-talk. These feelings don’t prove that you ARE inadequate. That’s ‘Faulty Emotional Reasoning‘. Faulty Emotional Reasoning is common among people with depression. Let me use an example you might be familiar with. You don’t feel like getting out of bed and because you feel this way, you conclude that it’s a bad idea to get out of bed. Wrong! The very best thing is to force yourself out of bed and DO something. Staying in bed is just going to make you feel more inadequate. You don’t have to act out your feelings. 3. Most people feel inadequate at times. Welcome to the real world! Ask yourself how you’ve coped in the past with feelings of inadequacy. In this situation it might just be the motivation you need to gain new skills to cope with whatever you’re facing. But trying to be ‘Superwoman’ is a no-no! All that effort could ultimately drive you to burn-out. It’s just not worth it. Paper Clip Test? Now that might sound like a strange heading on a blog related to depression. 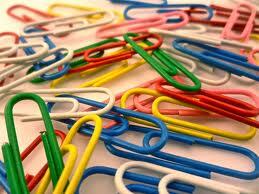 Paper clips are going to help you become aware of your negative thinking so bear with me…. 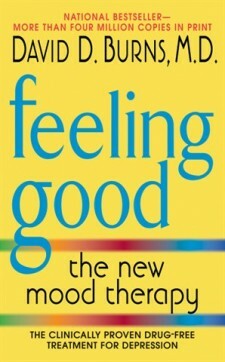 Your mood is a directly linked to your thoughts. If you have negative thoughts, your mood is going to be down. If you have happy thoughts your mood is going to be more upbeat. Negative thinking and negative talk are symptoms of depression. SO.. It’s worthwhile taking the time to examine your thoughts. Many people say their depression and anxiety has nothing to do with their thoughts, but has everything to do with the life situations they find themselves in. Stress at work, stress in relationships are to blame. BUT these events in themselves are NOT going to cause depression and anxiety. It’s the negative thoughts that these events trigger that will be your downfall. Take a handful of paper clips (yes, they’re handy for all sorts of things) and put them in your pocket.. For every negative thought that comes into your mind, take out a paper clip and put it in another pocket. You might be surprised at how “the other pocket” fills up!Even being conscious of these clips in your pocket is going to make you more aware of your thoughts. Becoming aware of your thoughts is a vital key in overcoming depression. Very often we’re not aware of our thoughts as they’ve gone into the unconscious. As you become sensitized to your negative thoughts, examine them and counteract them with ‘correct’, more helpful thinking. Related posts: Cognitive Therapy or Change the Way you Think. Some people shoot from the hip when reacting to a situation and only think about what they’ve said afterwards. This style can land you in hot water! 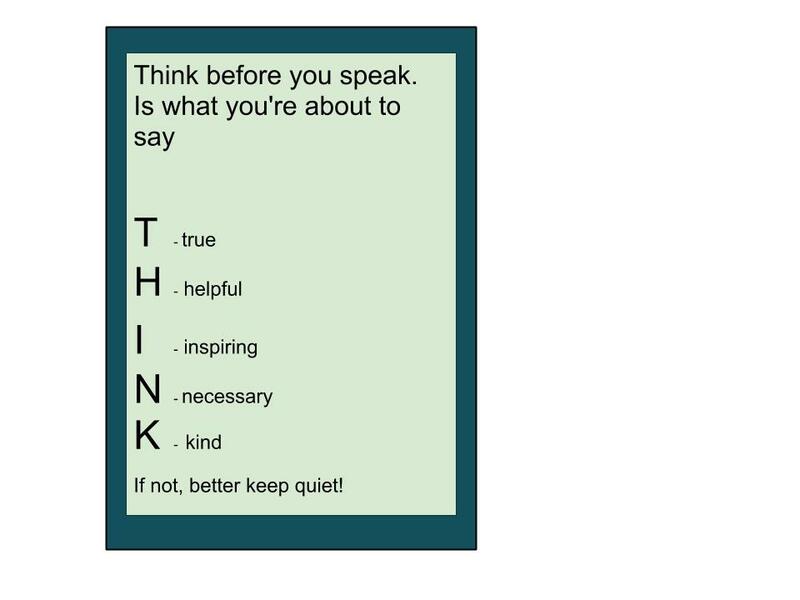 For the sake of good relationships practice to think before you speak. Nagging your partner really doesn’t help!